Google Scholar is a freely accessible web search engine that indexes the full text of scholarly literature across an array of publishing formats and disciplines. Released in beta in November 2004, the Google Scholar index includes most peer-reviewed online journals of Europe and America's largest scholarly publishers, plus scholarly books and other non-peer reviewed journals. While Google does not publish the size of Google Scholar's database, third-party researchers estimated it to contain roughly 160 million documents as of May 2014. 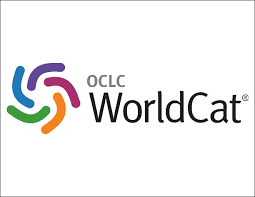 WorldCat is the world's largest network of library content and services. WorldCat libraries are dedicated to providing access to their resources on the Web, where most people start their search for information.You can search for popular books, music CDs and videos—all of the physical items you're used to getting from libraries. You can also discover many new kinds of digital content, such as downloadable audiobooks. You may also find article citations with links to their full text; authoritative research materials, such as documents and photos of local or historic significance; and digital versions of rare items that aren't available to the public. Because WorldCat libraries serve diverse communities in dozens of countries, resources are available in many languages. Advanced Science Index is an indexing service indexes scholarly journals in all areas and fields of science. It is aiming at rapid evaluation and indexing of all local and international journals. Advanced Sciences Index provides following services with Frequency of 12-indexing round per year: Evaluation and indexing of journals.Estimation publication quality of journals based on standards.Publisher panel for publishers to monitor and control quality of their journals. SocioSite is designed to get access to information and resources which are relevant for sociologists and other social scientists. It has been designed from a global point of view — it gives access to the world wide scene of social sciences. The intention is to provide a comprehensive listing of all sociology resources on the internet. The enormity and constantly changing nature of the internet makes it impossible to develop a definitive and comprehensive listing. That’s why the SocioSite will always be «under construction». BASE (Bielefeld Academic Search Engine) is a multi-disciplinary search engine to scholarly internet resources, created by Bielefeld University Library. The Electronic Journals Library is a service to facilitate the use of scholarly journals on the internet. It offers a fast, structured and unified interface to access full-text articles online.It comprises 78801 titles from all areas of research, 14662 of which are available online only. In addition, 80897 journals, which are provided by aggregators, are listed. 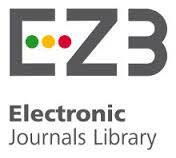 The EZB contains 47440 journals which are accessible free of charge to anyone. Furthermore, the participating libraries provide their users access to the journals they subscribe to.The journals are presented in lists sorted by research area. An updated list is generated by the database according to the member library's specifications each time it is accessed. Index Copernicus International is an international, specialized platform for promoting scientific achievements, as well as supporting national and international collaboration between scientists, publishers of scientific journals and scientific entities. We invite you to familiarization the specific sections of the Index Copernicus International: IC Journal Master List, IC Publishers Panel, IC Publishing, IC Scientist, IC Institutions. The WZB Berlin Social Science Center conducts basic research with a focus on problems of modern societies in a globalized world. The research is theory-based, problem-oriented, often long-term and mostly based on international comparisons.Around 160 German and international researchers work at the WZB, including sociologists, political scientists, economists, legal scholars and historians.Research results are published for the scientific community as well as for experts in politics, business, the media and civic organizations.As a non-university research institute, the WZB is member of the Leibniz-Association. The WZB closely cooperates with Berlin universities. Its research directors also hold chairs at universities in Berlin and beyond.The WZB was founded in 1969 by members of the German parliament from all parties. The WZB is funded by the Federal government and the state of Berlin. 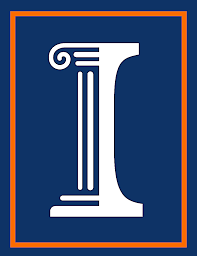 The University of Illinois OAI-PMH Data Provider Registry.We have collected Identify, ListSets, ListMetadataFormats, and sample records from all of the OAI compliant repositories we could find from various sources, added the data to a database, indexed them, and made them searchable. We have also created several reports from the data. This system is driven entirely from database queries against our database, and not from live queries to the OAI repositories. Therefore, at any given time the data will be out-of-date by some period of time. The data in our database will be periodically refreshed from the original OAI repositories, plus new repositories will be added as they are found. 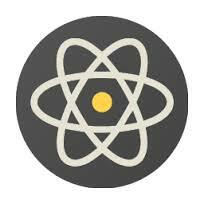 For an XML report of all the repositories from which we have data, access our Friends List. This collection is also harvestable via the OAI protocol; the baseURL is http://gita.grainger.uiuc.edu/registry/px/oai.asp. 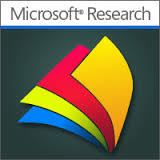 Microsoft Academic Search is a free public search engine for academic papers and literature, developed by Microsoft Research for the purpose of algorithms research in object-level vertical search, data mining, entity linking, and data visualization. Although largely functional, the service is not intended to be a production web site and may be taken offline in the future when the research goals of the project have been met. 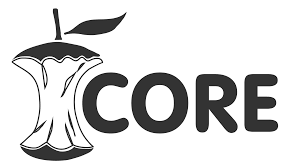 According to a 2014 publication on arXiv, the service has not been updated since 2013 and seen a marked decline in the number of indexed documents since 2011. The fact that this decline has not been reported on earlier indicates to the authors that the service was largely ignored by academics and bibliometricians alike. The database consists of the bibliographic information (metadata) for academic papers published in journals, conference proceedings, and the citations between them. As of February 2014, it has indexed over 39.9 million publications and 19.9 million authors. Publons works with reviewers, publishers, universities, and funding agencies to turn peer review into a measurable research output. Specifically, we collect peer review information from reviewers and from publishers, and produce comprehensive reviewer profiles with publisher-verified peer review contributions that researchers can add to their resume. AcademicKeys.com is the premier source for academic employment. Our 17 discipline-focused sites offer comprehensive information about faculty, educational resources, research interests, and professional activities pertinent to institutions of higher education. More than 89% of the top 120 universities (as ranked by US News and World Report) are posting their available higher ed jobs with AcademicKeys.com. It is an honour that our journal has been included in worlds oldest and most honoured e-journals website http://www.e-journals.org/ as a Special Featured Journal. VL dates to Tim Berners-Lee (inventor of http, i.e., the web). VL is one of the oldest indices. Actualizada anualmente, la base de datos MIAR reúne información clave para la identificación y la evaluación de revistas. Éstas se agrupan en grandes áreas científicas –subdivididas a su vez en campos académicos más específicos–. El sistema crea una matriz de correspondencia entre las revistas, identificadas por su ISSN, y las bases de datos, repertorios y catálogos de bibliotecas que las indizan o incluyen. Además, se indica el vínculo a las webs de los editores e instituciones responsables de los repertorios y fuentes siempre que se dispone del mismo. MIAR incluye más de 28.000 publicaciones, para cada una de las cuales se analiza su presencia en bdds y repertorios multidisciplinares y como resultado se obtiene su ICDS. The ZDB is the world’s largest specialized database for serial titles (journals, annuals, newspapers etc., incl. e-journals). The ZDB actually contains more than 1.7 million bibliographic records of serials from the 16th century onwards, from all countries, in all languages, held in 4.400 German and Austrian libraries, with 13.6 million holdings information. It does not contain contents, i. e. journal articles. The responsibility for the maintenance and further development of the ZDB lies with the Staatsbibliothek zu Berlin - Preußischer Kulturbesitz and the German National Library. The GIGA emerged in 2006 after the restructuring of the German Overseas Institute (1964–2006). Located on the Inner Alster Lake, the GIGA has had a long partnership with the city of Hamburg. As the “gateway to the world”, Hamburg offers ideal conditions for the GIGA’s research. International networking and cooperation with local partners is a pillar of the GIGA’s research. The Hamburg State and University Library Carl von Ossietzky (Stabi) is the largest academic library in Hamburg. It serves as the central lending library of the University of Hamburg and the city's other higher education institutions. It also serves as an academic library for the citizens of Hamburg and those of the Hamburg Metropolitan Region. As a state library, it collects and archives the publications located in Hamburg as well as literature relating to the city and its surroundings. The library, founded in 1479, owns a number of special collections, which contain valuable legacy items, including medieval manuscripts, literary remains and autographs, rare and old prints, music, and maps. On behalf of the German Research Foundation, it collects highly specialist literature and digital information resources for German academic research in the areas of Spain and Portugal, Indigenous Peoples of North America and the Arctic, as well as inshore and deep-sea fishing. Together with the university's specialist libraries, it forms the University of Hamburg Library System. 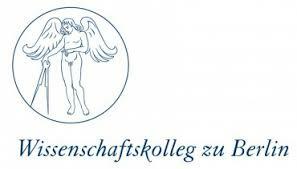 The Leibniz Association connects 89 independent research institutions. Leibniz institutes conduct knowledge-driven and applied basic research, maintain scientific infrastructure and provide research-based services. Der Ausleih-OPAC liefert keine Informationen zu online verfügbaren Medien (E-Books, PDFs), sondern enthält überwiegend die Daten, die zur Ausleihe eines physikalischen Mediums in der entsprechenden Bibliothek erforderlich sind. Hier ist auch das Benutzerkonto angesiedelt. LM Information Delivery is a full-service information management resource, headquartered in historic, downtown Easton, PA.
i-Scholar is the "Collection of Journals" provided by Informatics. 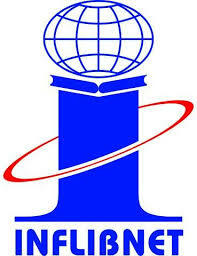 The i-Scholar gateway opens the delivery platform for both academic as well as corporate research segments. As a subscription management partner, they provide a single point of contact for managing electronic and paper subscriptions, professional memberships and books. Established in 1872, HARRASSOWITZ has been serving libraries around the world for almost 150 years.